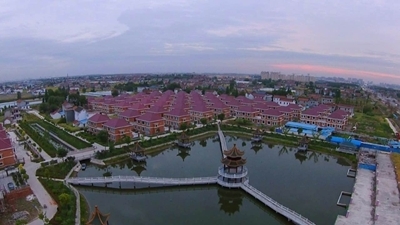 Nantong’s Tongzhou district is located on the north of the Yangtze River Delta. With a coastline of 15.95 kilometers, it is adjacent to the Yellow sea to the east. Its western region is close to the Yangtze River to the south with a bank line of 10.77 kilometers. Tongzhou district covers an area of 1,525.74 square kilometers, bearing a land area of 1,351.50 square kilometers and a river and sea area of 174.24 square kilometers. In terms of the horizontal landscape, the district is wide, and vertically it is narrow. With flat ground and fertile topsoil, its soil workability has been in sound conditions. The layout declines from the northwestern region to the southeastern region and the reclamation areas along the river and the coastlines. Its elevation is usually within 3.80~4.50 meters and the lowest offshore part is 2.20 meters. Tongzhou district is equipped with convenient transportation system, with the Xinyi-Changxing Railway (the branch line), Nanjing-Nantong Highway, Yancheng-Nantong Highway and Nantong-Qidong Highway all running across it. The main rivers, including Tongyang Canal, Tonglv Canal and Tongqi Canal, Jiuweigang River, Yaowanggang River and Xinjianghai River, are intertwined. It connects with the Su-Tong Yangtze River Highway Bridge to the south. The Shanghai railway Yangtze River Bridge which is under construction has incorporated Tongzhou district into Shanghai’s one-hour economic circle. Nantong Xingdong International Airport, located in Xingdong sub-district, has already opened a number of domestic and international routes. Its airline network connects Nantong with Beijing, Tianjin, Guangzhou, Shenyang, Shenzhen, Qingdao, Xiamen, Wuhan, Chengdu, Dalian, Wenzhou, Zhengzhou, Nanjing, Changsha, Chongqing, Nanchang, Kunming, Fuzhou, Lanzhou, Quanzhou, Haikou, Guiyang, Nanning, Guilin, Seoul and Jeju Island of South Korea, Osaka and Nagoya of Japan, Bangkok of Thailand and Taiwan of China. 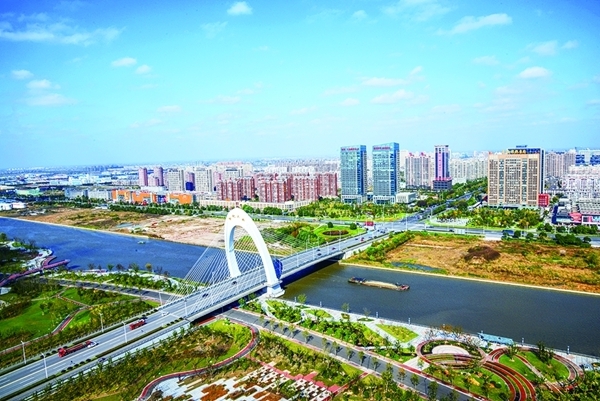 Tongzhou district was administering four sub-district offices, twelve towns and one national-level high tech industrial development zone at the end of 2016. The population of the registered permanent residents has risen up to 1.27 million.